The iPad can be an amazing teaching aid for toddlers. The iPad’s durable screen, allowances for inexact input and battery life make it ideal for younger children. But a toddler’s experience with the iPad can only be as good as the software installed on it. This list will examine the top eight educational apps for the iPad. The criteria used to judge the apps will focus on educational value, enjoyment, and minor factors which might impact the experience. 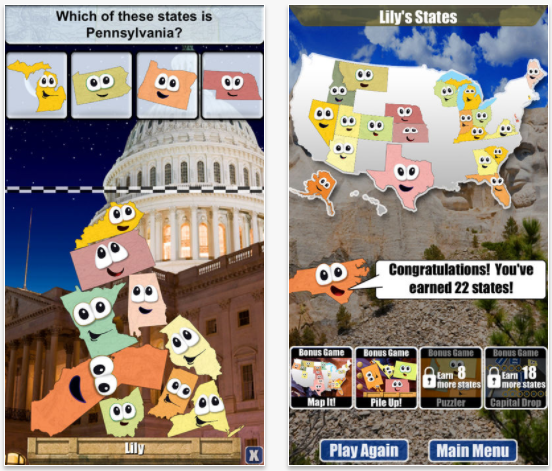 Stack the States is one of the best iPad apps for toddlers due to a less represented subject. Learning the states can be a difficult part of a child’s later school life. Learning early can help that learning process. It will also help develop children’s curiosity about the world around them. The biggest advantage comes from a mix of subject matter and fun presentation. The real world pictures combine perfectly with colorful cartoon characters. The most significant disadvantage is that the subject matter might be a hard sell to kids at first. But they’ll love it once they give it a try. Some of the best iPad apps for toddlers will tie into something they already love. 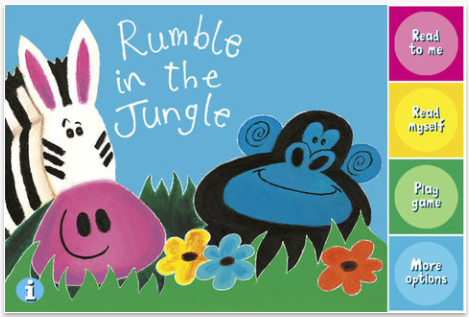 Rumble In The Jungle builds upon the beloved book by Giles Andreae. It features a highlighted narrative by Hugh Laurie to help kids learn words. And there’s an additional puzzle system for extra fun. The biggest advantage is actually for parents. Hugh Laurie’s narration is calming enough to ease the inevitable strain of hearing the story repeated so many times. The biggest disadvantage is that the options are somewhat limited compared to other apps. The combination of story and puzzle will entrance toddlers. But many apps offer more. 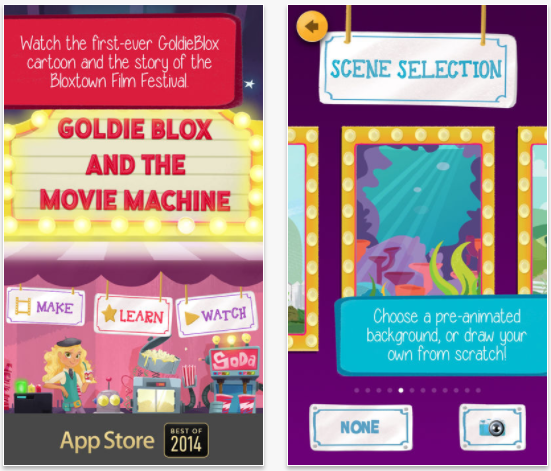 GoldieBlox and the Movie Machine earns a spot as one of the best iPad apps for toddlers due to a great message. It’s intended to help girls and boys alike learn to dream big and consider a life studying engineering. The app frames the subject as a movie making exercise and teaches some impressive skills. The biggest advantage is that it gives toddlers a chance to actually create something. The app will help children make their very own animated gifs. The biggest downside is that the learning curve can be a bit high for toddlers. 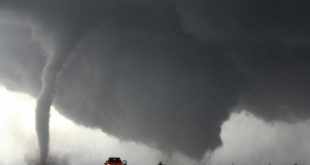 They’ll get there eventually, but it might prove frustrating. 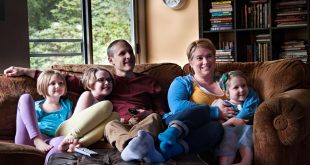 Most parents know that their kids will watch Disney movies again and again. It’s little surprise that one of the best iPad apps for toddlers ties into that love. 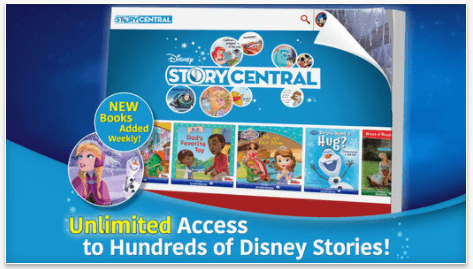 Disney Story Central helps teach children a lifelong love of reading by giving them storybook renditions of classic Disney tales. The biggest advantage is that toddlers will already be sold on the theme. Kids love to hear Disney stories, and the books can help transition that into reading. The disadvantage is that the app offers little other than highlighted reading and associated awards. 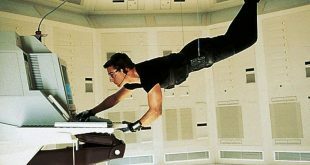 Unlike some similar apps there’s no puzzles or mini-games. The running theme of tying beloved franchises into the best iPad apps for toddlers continues. 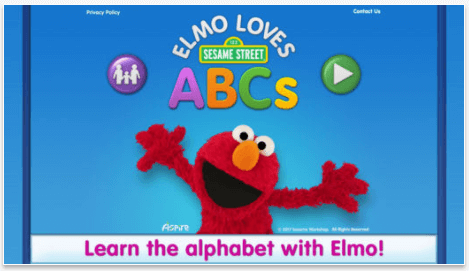 Elmo Loves 123s uses Elmo to help kids learn the alphabet. This is generally a great choice for toddlers who are just starting their journey into literacy. The biggest advantage is that it makes learning the general shape of letters fun. This leverages the input system in an iPad in the best possible ways. The only slight disadvantage is that it depends rather heavily on a toddler loving Elmo. If he or she doesn’t like the character than the app might not have the same appeal. Fish School HD is one of the best apps for toddlers due to the fun and colorful undersea world. The well animated sealife will help teach toddlers colors, numbers and letters. The biggest advantage to the app is that it integrates real world examples into the learning experience. 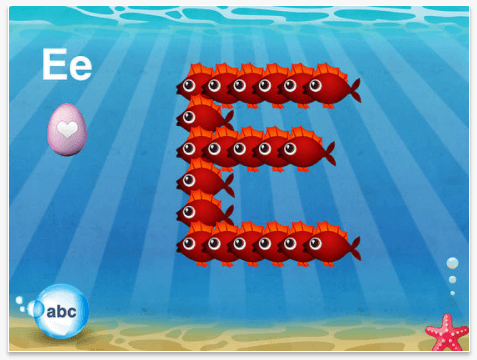 Colorful fish are a great way of learning colors and numbers. The only disadvantage is that the lack of franchised characters might not have the same appeal as some other apps. Once again one of the best apps for toddlers relies heavily on parent appeal. Sometimes the best apps are those which parents can enjoy as well. 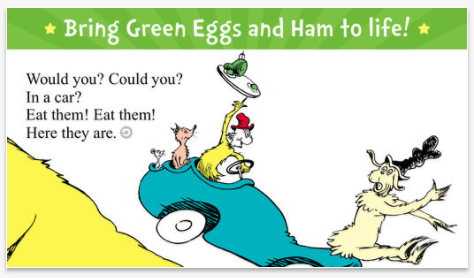 Green Eggs and Ham by Dr. Seuss will help teach reading by highlighting text and offering various chances for interaction with on screen objects. The biggest advantage is that it offers up a chance for parents to share something from their own childhood. There’s also enough new twists to even interest parents in the experience. The biggest disadvantage is that the non-narrative options are fairly minimal. The best iPad apps for toddlers combines a good hook and solid educational material. It’s hard to find better than the Magic Schoolbus. The franchise is well known for high educational standards and the app more than lives up to it. The biggest advantage is how complete this package is. There’s a huge variety of different games and activities within this app. The content benefits from being framed by a beloved kids franchise. The only disadvantage is once again found in the branding. 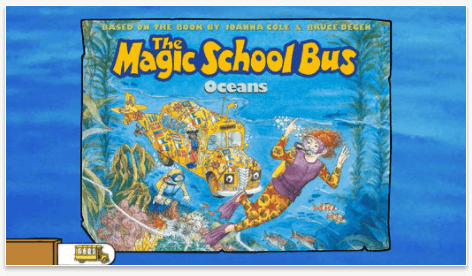 Most kids love the Magic Schoolbus. But children who don’t like that setting might find themselves less engaged by the app. In conclusion, it’s easy to see that there’s many options out there for toddlers. Most of the options mix a variety of themes and games together into a greater whole. 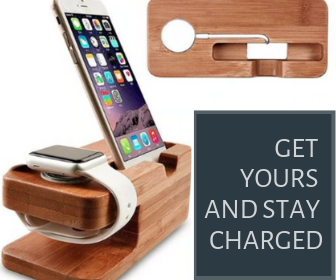 This offers enough options for parents to play around with. At the same time even narrowing things down to the best of the best offers up quite a bit of subjectivity. That’s why it’s important to try out the apps and leave comments about just how well they worked out.